with beautiful sunset view at Menega Cafe Jimbaran Bali. delicious grilled seafood with many choice and famous grilled fish in Jimbaran Bali. 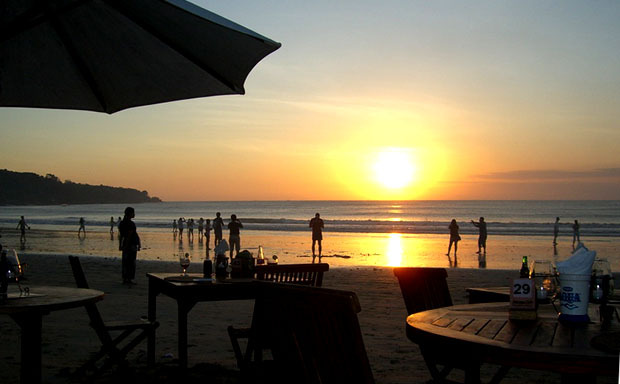 in Jimbaran Bali Beautiful Sunset Delicious Food in The Island of paradise. 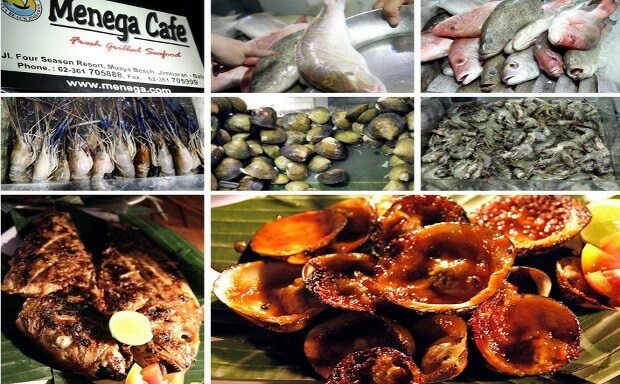 We are Menega Cafe restaurant, with the best seafood in Jimbaran Bali. 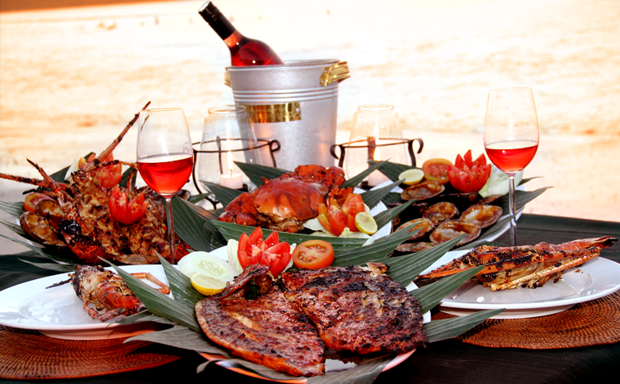 Enjoy Fresh Grilled seafood on the beach with the best sunset view. This is the layout how we set up the table for the group booking as for wedding or any other function. Delicious BBQ crab (1-2 pcs). Most Favorite Menu (12-14 pcs). Live lobster / Kg. Grilled Fish / Kg.